Extremely silly comedy about a self-indulgent private investigator who winds up on a cruise ship full of rich patrons, gorgeous women, murderous terrorists, and scarce food. While searching for the daughter of a Japanese publishing magnate, private investigator Ryu Saeba and his assistant Kaori are caught up in the middle of a cruise liner highjacking. It's up to Ryu to save the day...but can he do it on an empty stomach? I love almost anything that comes out of HK, but even I have my limits. If Troma ever made a cheapo Saturday morning TV series for children, this would be it. You know you're in trouble when you're watching a Jackie Chan movie & 20 minutes in there still isn't a fight. This ultra lame attempt to bring a manga to the screen fails in almost every respect & the only fun to be had with it is if you get the newly released US version & watch it with the horribly dubbed English soundtrack, where no attempt whatsoever was made to sync up the hilariously dopey English voices with the mouths of the Chinese actors. Back in the late 1970s/early 1980s the martial arts genre nearly died due to a glut of cheap & substandard films. I'm afraid of more cheap & awful substandard dreck like CITY HUNTER flooding the market & making it impossible for good HK cinema to get released here. With great martial arts/HK flicks like HERO & KUNG FU MASTER (the epic starring Donnie Yen) still without wide US distribution I am afraid this may already be happening. 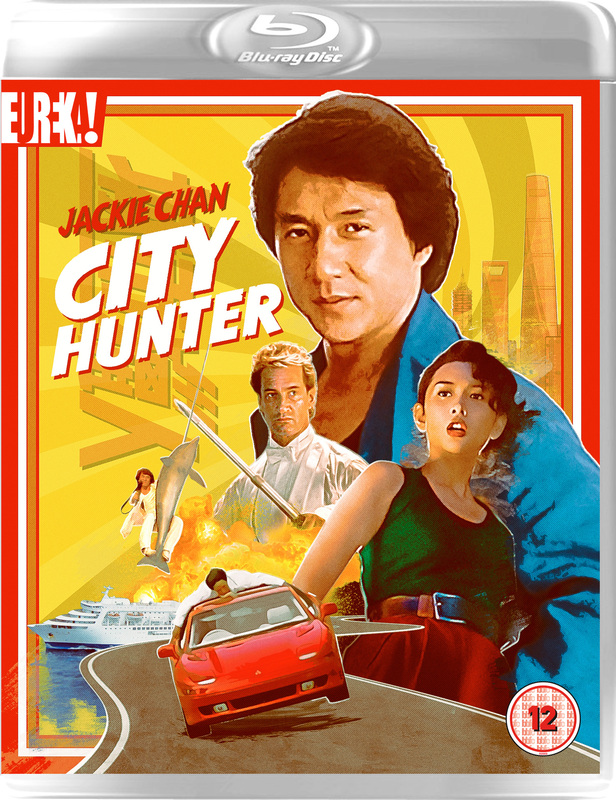 I know if a piece of sh*t like CITY HUNTER was the first HK flick I ever saw I would never bother to see another one. I think this was the first "true" Jackie Chan movie I've seen...I was blown away by the stunts and fighting, but wow, this is ridiculous! I love it!!!! It's very bizarre, and really colorful. More or less, it's "Under Siege," but with Wong Jing's typical "anything goes" goofiness! A lot of people I know hate this, but I absolute adore this live-action cartoon...I guess you just have to be of a certain type to enjoy it...and oh yeh, it has the finest selection of great-looking women I've ever seen in one film! Basically there's only one huge difference: tha Japanese version features a prolonged credits sequence with many more scenes from the City Hunter manga. Besides there are also two scenes with alternative footage involving a clock and a camera.